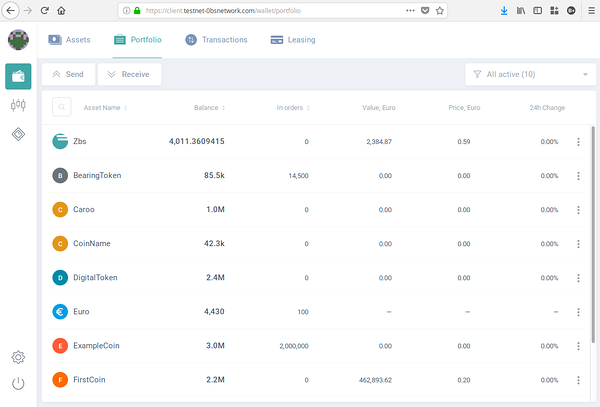 0bsnetwork Testnet is a playground for all of us to explore, try out various aspects of the platform’s functionality and develop applications that will later be deployed to the Main Net. Please Note: 0bsnetwork Testnet is for testing purposes only and has no real world value whatsoever! All tokens, transactions and data you create on the test net might disappear at any moment. Do not attempt to connect any real world value to the test net in any way, as it will definitely be lost. This is the quickest and easiest way for you to create an account (wallet) on the 0bsnetwork TestNet, send and receive, exchange or create coins. Don’t forget to backup your Seed Phrase – it’s the only way for you to access your wallet. If you loose the seed phrase, you’ve lost all your funds and noone can restore them for you. 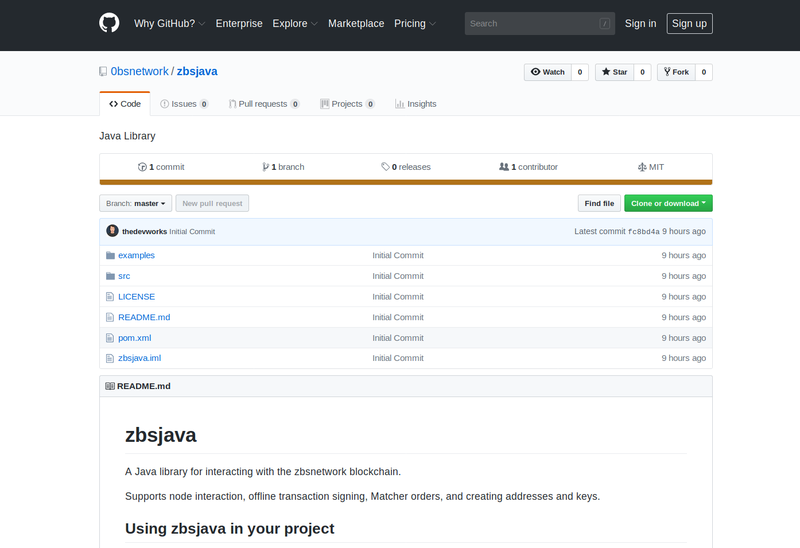 Testnet Node Software on GitHub. 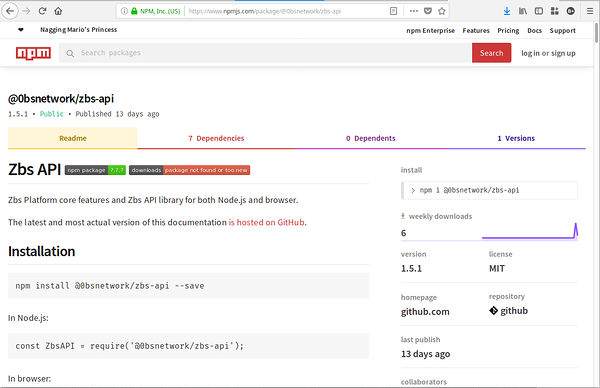 You can install the node software and run it as a service on any Debian-based GNU/Linux OS (Ubuntu, Linux Mint, etc. ), or you can download and run the Java version, for any desktop operating system and run it as an application, as an when you need it. You’ll need to edit the testnet.conf configuration file, but it’s actually really simple to do. 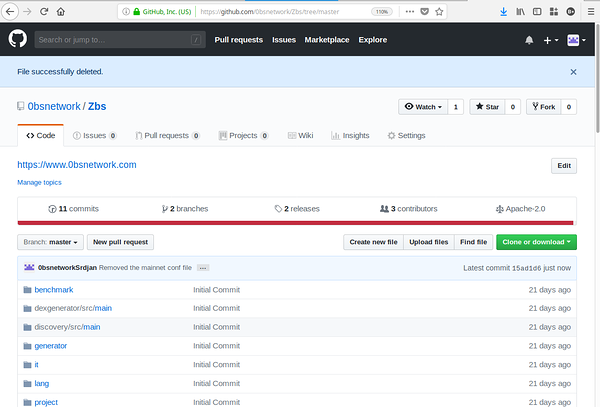 Just follow the instructions and comments provided in the readme file and in the testnet.conf file itself. 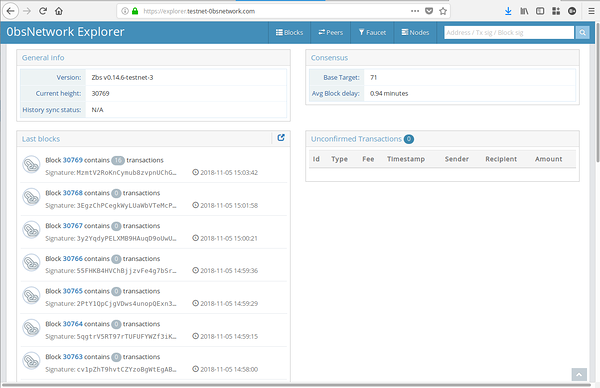 Block explorer enables you to see the current version of the software powering the network, see the current block height, browse individual blocks forged by the nodes, as well as their contents, see active nodes on the 0bsnetwork Testnet, etc. You can also access the Testnet Faucet. Node API, with all of the built-in features of the 0bsnetwork Testnet, is made available to you in an easy to understand format for developers. You can test most of the GET requests and get updated information on addresses, blocks, etc. Last but not least, if you want to connect with us and other developers working on solutions based on the 0bsnetwork blockchain platform, we would be happy to see you in one of our developer chat channels!